Mike J. Walker is widely recognized as a Strategist and Enterprise Architecture advisor, industry thought leader, author and mentor. Mr. Walker has aided global fortune 100 companies with their innovation programs, strategic planning and enterprise architecture with high-impact pragmatic approaches. Clients hold him in high regard to deliver advice, out-of-the-box innovative thinking and architectural strategies. Serving in leadership positions in global organizations delivering IT strategy and enterprise transformation initiatives. His thought leadership can be seen on his blog MikeTheArchitect.com, in the press, or in publications. Finally, through Mike’s passion to advance the industry he has served as a board member at the Open Group, chairing both the TOGAF and Business Architecture. Keith spent 20 years at the North American retailer Target. During that 20 year tenure Keith held positions as a Software Developer, Database Administrator, Server Administrator, Information Security Consultant, Directory Services Manager, Lead Data Architect and Principal Architect for Data and Cloud. Debra Bauler is the IT Leader for Cargill’s Protein and Salt (CPS) Enterprise. She is responsible for overseeing all aspects of information technology for Cargill’s Salt, Poultry and Protein businesses. 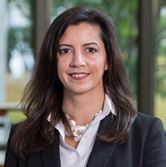 She is also a member of Global CIO Senior Executive Team and reporting to Cargill’s Corporate CIO. Prior to this role, Debra has held a number of roles leading IT teams across our Cargill Business Units, including Commodity Trading Business and Food Processing Businesses. Her leadership responsibilities have spanned global transformations, business intelligence teams, application teams and infrastructure teams. Debra brings a mixture of business acumen, technology expertise and innovation to her leadership approach. Debra was born and raised in rural Minnesota. She currently lives in Chanhassen, MN with her husband and two children (ages 10 and 12) who help keep her very active when not at work. Getting started with Business Architecture within an existing organizational framework can seem like a daunting task. This session provides an overview of one organization’s approach to launching business architecture. Topics of discussion include the “why” behind the need for business architecture, the structure to support and promote business architecture, and three case studies using business architecture to define programs and to align capabilities to strategy. Nina Munson, Digital Service and ECPI Program Manager has been with Securian Financial Group for 18 years. She is responsible for leading and consulting on the enterprise-wide, strategic aspects of the Digital Service, Enterprise Continuous Process Improvement, and Enterprise Process Measurement programs. Nina has a Bachelor’s degree in Finance from Metropolitan State University. She holds the Certified Business Architecture® designation from the Business Architecture Guild. Desiree Manning, Senior Corporate Actuarial Initiatives Manager, has been with Securian for 19 years. During that time she has developed and implemented Securian’s project methodologies, led enterprise projects and programs, and served on strategy setting committees. In her current role, Desiree serves as project portfolio and program manager for Corporate Actuarial. Desiree has her MBA from the Carlson School and recently completed Metro State’s Business Architecture certificate program. Nicole Carlson is the Manager of the Internal Consulting team at Securian Financial Group, focusing on project management and change leadership for top strategic enterprise-level initiatives. Over the past 16 years at Securian, Nicole has served as a project manager and consultant, and has started a PMO within a business unit. Nicole has a Bachelor’s degree in Banking and Financial Economics from the University of North Dakota and recently completed Metro State’s Business Architecture certificate program. Recently during a Business Architecture roundtable discussion a colleague asked what is the elevator speech for the value of business architecture. My short answer is it provides transparency and helps to build alignment against strategic priorities. During this presentation I will demonstrate the power and value of business architecture when you only have a few minutes to influence a listener. Teresa Garcia, Wells Fargo Teresa started as a mortgage consultant at Wells Fargo in 1999 then managed a sales branch. In 2001, Teresa was recruited to be a process engineer where I designed multi-platform systems, eventually focusing on digital technology integration for customer solutions. Currently Teresa is a Business Architect for customer-centric digital services and build our business architecture model and governance processes. Lost in sea of transformation topics for many business architects and their business capability mapping is that somewhere along the way, we architect the business. Modern user experiences require a clear line of sight to a company’s business capabilities – who drives the business design to bring together the strategy, people, process, tools and information? Business Architecture bridges this. Bao Do, Wells Fargo Bao is a Business Architecture Manager for Front Office brokerage solutions at WF where projects span the full gamut of lifecycle management to keep the lights on, modernization to reduce tech debt as well as transformational. Bao has spent 20 years in diverse roles including developer, tester, IT consulting, requirements analyst, project manager, portfolio management and manager. Organizations become vulnerable if they stop challenging the status quo and striving to improve. This risk is even more apparent in a government organization because mission is assumed to be guaranteed. This session will explore the Case Study on how we used Business Architecture artifacts, such as capability maps and the organizational model, in order to counteract complacency. Kathleen Walsh, Department of Defense Ms. Kathleen Walsh is an Enterprise Architect working on how the integration of strategic planning, systems engineering, and process development can be improved via the focused application of the BA discipline at DOD US ARMY Armament Research, Development, and Engineering Center (ARDEC). She is leading a cross-disciplined team through defining the Business Architecture capability at ARDEC. More and more, businesses are focusing on delivering value by improving their customers’ experiences. In many industries – if not all – it’s a strategic imperative. The Customer Empathy Map, Customer Journey Mapping and other tools can all give us insights into gaps in meeting our customer’s expectations. Business architecture can provide the rigor to shape these insights into priorities. Dan McDermott, Starkey Hearing Technologies Dan McDermott is a business and information systems leader with over 25 years of experience in information technology, strategy development and execution. Before joining Starkey, he was with Regis Corporation where he was responsible for retail technology for over 6500 locations in the US and UK and provided direction to approximately 3000 additional franchise locations. An update to the story shared in January of a pragmatic approach to business architecture that solved problems without shouting, “We are now using Business Architecture!”. The session will reprise key points from January and then show how the course charted in January has played out in practice through the year as Prime Therapeutics continues to develop its strategy to execution approach. David Stevens, Prime Therapeutics David runs the business architecture office at Prime Therapeutics – an office that was just a germ of an idea 4 years ago. During a turbulent period in health care services, David went from being a consultant brought in to assist with investment planning to build a small, yet effective, business architecture practice that continues to gain traction. Before you can determine your next steps into the future, you must have some ideas of where you want to go. A Capability Assessment will provide understanding leading to directional changes. In this time together I will introduce the Capability Assessment method and we will do a mock Capability Assessment together and decide where to focus the next steps for improving our fictitious BA Team. Mary Sue Moore, Asurion As Principal Business Architect at Asurion, Mary Sue provides value through understanding and transparency to align business and technology teams. Mary Sue brings a business architecture perspective to projects, management, and other architects. Mary Sue creates models and uses them for scoping, gap analysis, maturity analysis, and communications. Medtronic has developed a process to drive value through the governance of Medtronic’s enterprise applications and their Information lifecycle process from creation to disposal. In addition, we have developed a process to categorize applications by capabilities, business unit and regions to effectively review the portfolio. Christine Barry, Medtronic Christine’s genuine and authentic personality allow her to connect with others in a way that builds strong, trusting relationships that drives win-win results. Christine’s drive, energy and caring leadership combine to create true business value and build effective and connected teams. VR is the next big thing. This presentation will focus on how virtual reality can be leveraged to envision future experiences and help connect disparate parts of the organization through the process aiding the vital step of business architecture prior to building solutions. Brad von Bank and Thong Nguyen, Roomera Brad von Bank and Thong Nguyen are Co-Founders of Roomera, a VR platform and services company. Brad is also the Co-Founder of Reve Consulting, a strategy and service design firm. Both have spoken extensively and have corporate experience leading digital, tech, marketing teams at Target, Best Buy, GE and Digital River. They bring a business + tech perspective that is educational and engaging. Enterprises can achieve greater success by aligning and executing organizational strategies with business architect techniques and scaled agile framework. This presentation will discuss how business architects can use and integrate business capability modeling with the scaled Agile framework (SAFe) to achieve greater alignment and better strategy to execution. Andy Sio, Strategic Quadrant Andy is well-versed technology management consultant with over 10 years of experience. He is a dynamic cross-functional leader with a broad background in strategic planning, executive coaching, enterprise portfolio management, and solutions architecture. He has trained and led Agile transformation engagements. He founded Strategic Quadrant, an online collaboration priority planning & assessment tool. The need to coordinate multiple Scrum teams while implementing strategic enterprise changes that affect multiple business domains is a daunting task. This session will demonstrate how a judicious application of business architecture methods and artifacts provide critical information and actionable insights for individual Scrum teams as well as to the program team and executive sponsors. Dean Larson, Enterprise Analysis Consulting Dean is a Business Architect consultant with 18 years of experience. He is currently leading the business analysis and architecture efforts within a large scaled-agile program. 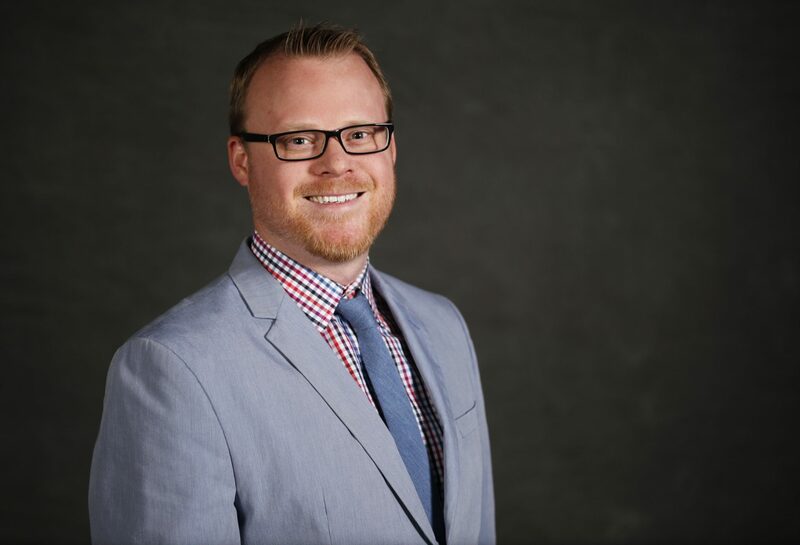 Dean is a contributor to the Strategy Analysis knowledge area in the IIBA’s BABOK, has spoken at local and national forums, and has an MBA from the University of St. Thomas. Adopting Agile? Wondering what that means for Architects? Agile emphasizes that teams should be self-enable to fully deliver their “product.” Yet, it is highly impractical and cost prohibitive to have specialized roles, such as Architects, on every team. Further, how do you avoid redundant capabilities? Come, hear and discuss one Group’s approach to these challenges. 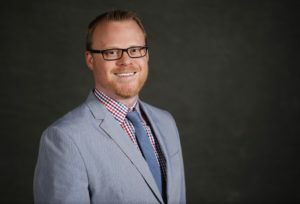 Garrett Gleason, Thrivent Financial As a business-technology executive, Garrett sees himself as a curious-learner, a design-thinker, and a passionate-builder. Garrett has led many innovative and transformative changes in large and small organizations. Garrett is currently part of a new venture at Thrivent, gaining first hand learning on disruptive technologies, new frameworks, and new approaches to business solution delivery. What Business Capabilities Does My Business Engage In? Organizations use the term “capability” to label just about everything from the functionality of a piece of technology to the skill of an individual. In Business Architecture, the term Capability has a specific meaning: a representation of “what” a business does at its core. This session is designed to help individuals identify, define and decompose the business capabilities of their organization. Stacey Smith is an instructor for the Business Architecture program at Metropolitan State University. Stacey is a practicing business architect at US Bank and a Certified Business Architect® through the Business Architecture Guild. Stacey is also an expert in strategy development and implementation, financial services, and is certified in TOGAF and ITSM. She is a founding member of the Twin Cities Business Architecture Forum. This session will demonstrate best practices to connect architecture capabilities to processes. From a literal level, see how to decompose a capability and link it to a process. From a conceptual level, understand how continuous improvement resources, such as Green Belts, link to business architecture. Mandy Spiess is Certified Business Architect who teaches in Metropolitan State University’s Business Architecture program. She has used her education and experience to move along the career path from Project Manager at Norwest Mortgage to her current role as a Business Architect for Prudential. As a graduate of the US Army Office School and US Army Command General Staff College, she has added a PMP/PgMp, a Lean/Six Sigma Black Belt, and a Business Architect Certificate to her resume along with the addition of BA in Business Administration and MS in Organizational Leadership and Management. Value streams are one of the most critical of the foundational business architecture blueprints, but also the most novel. While value streams have some affinity with business processes, they are not actually business processes, so what they are trying to communicate and how you build them is fundamentally different. This session will review key activities and guidelines for building useful and effective value stream maps. Mr. Chris Armstrong, President of Sparx Services North America (formerly APG), is an internationally recognized thought leader in business/enterprise architecture, systems and software engineering, and agile development. Mr. Armstrong represents Sparx Services North America at The Open Group, the OMG, and the Business Architecture Guild. Mr. Armstrong is certified in TOGAF, ArchiMate, IT4IT, UML, SysML, and is a Certified Business Architect (CBA). Many would agree that capability maps are the most foundational of all business architecture blueprints, but a point could be made that actually information maps are even more foundational. Namely this is because an information map identifies the nouns that the business uses to talk about itself and those same nouns appear in capability names. This session will review key activities and guidance building information maps and how to cross-map them to capability and value streams.